"Notes of cherry, vanilla, and leather on the nose. Earthy and spicy on the palate with dark fruit and vanilla flavors giving way to blackcurrant and licorice on the finish. Pairs well with beef, pasta, veal, and poultry dishes. 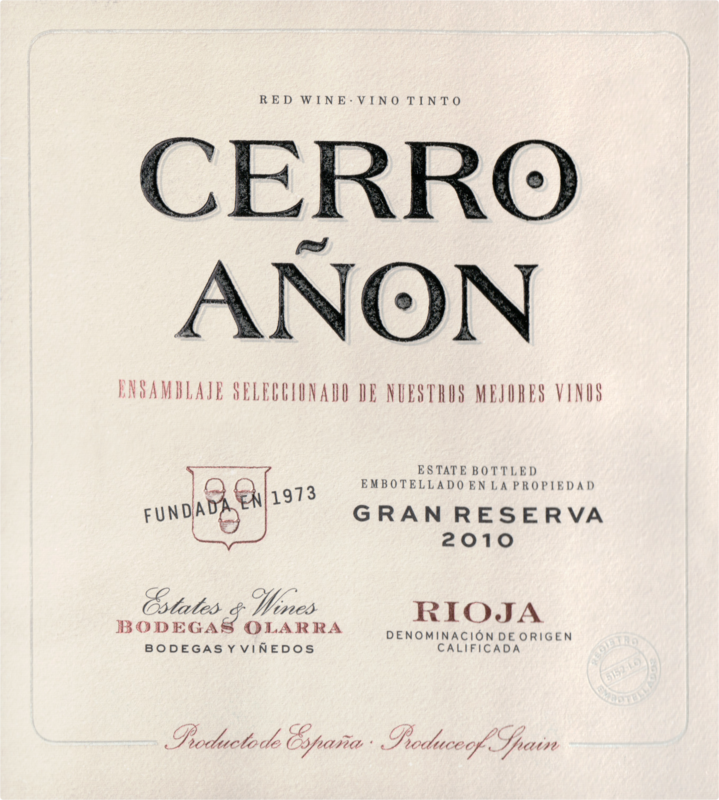 Cerro Añón is Olarra’s flagship label and the wines are classic in style. 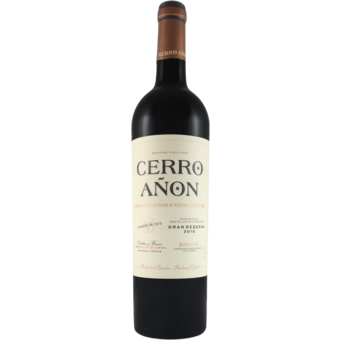 This gran reserva is a blend of 80% Tempranillo, 15% Mazuelo and 5% Garnacha, aged for two years in new oak. Sarah Jane Evans MW: A youthful blend, still showing energy after all these years: refreshing and well balanced, with a fine rasp of tannin. Simon Field MW: Seductive and wonderfully approachable for a beast that has been cloaked in wood for so long; very long and memorable. Pierre Mansour: Youthful, vibrant and gorgeously rich, yet with such well-judged tannins. Will benefit from more time in bottle." "Limpid ruby-red. A highly perfumed, smoke- and oak-accented bouquet displays ripe blueberry, cherry liqueur, licorice, pipe tobacco and coconut scents and a fruitcake nuance gains power with air. Coats the palate with sappy red and blue fruit preserve, cola, coconut and vanilla flavors that show impressive power and back-end lift. Supple, slow-building tannins add gentle grip to the oak-spiced finish, which hangs on with impressive tenacity." "This supple red shows dried cherry, orange peel, tobacco and mineral flavors, supported by well-integrated tannins and balsamic acidity. Elegant and balanced, fresh through the finish. Drink now through 2022. 8,000 cases made."